TCM is airing 24 hours of Westerns starring James Stewart on Wednesday. The lineup includes The Man Who Shot Liberty Valance (1962), which costars John Wayne. TCM is winding up its November tribute to star of the month James Stewart with 24 hours of Westerns on Wednesday that include his collaborations with directors John Ford and Anthony Mann. 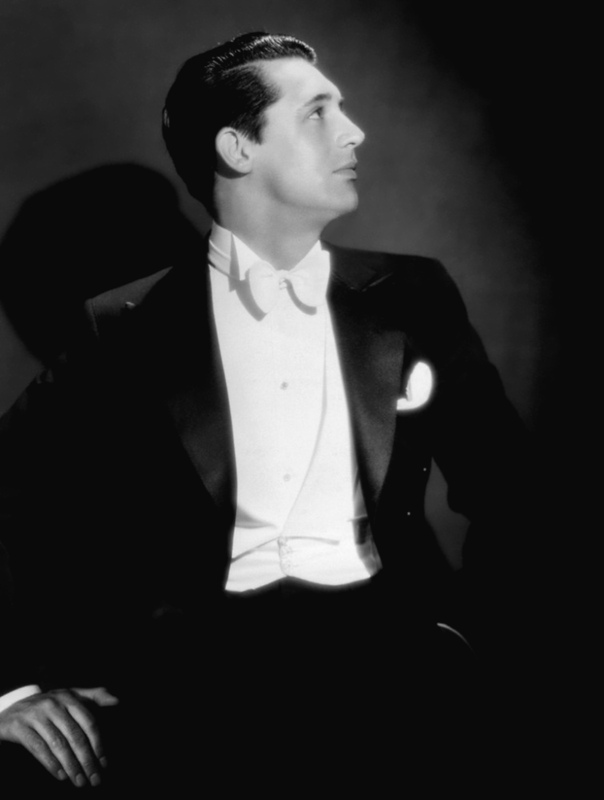 Also, TCM is kicking off December with an evening lineup of Christmas movies and a day-filled with Cary Grant movies. I'll go in-depth a little further down in the article, but first here's a quick rundown of what else is on the schedule. Note: All program times are EST. 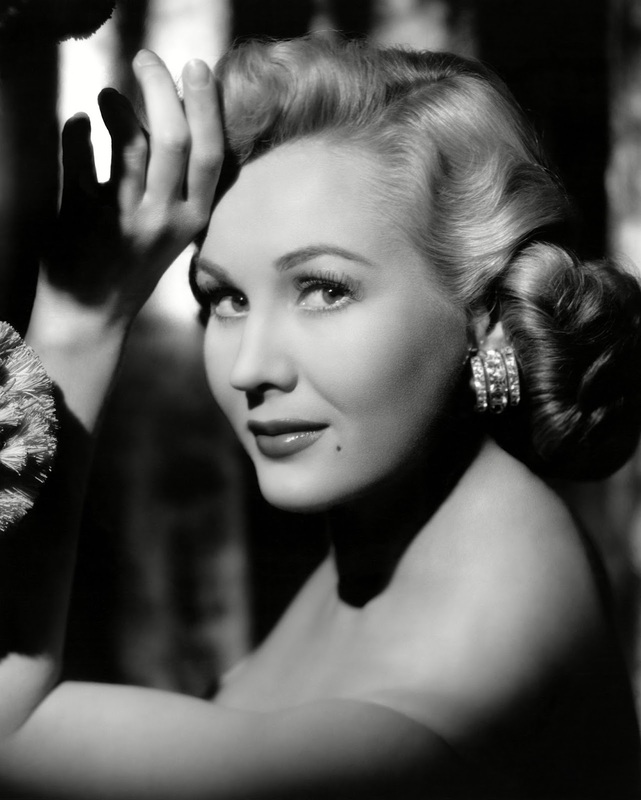 Birthday tributes: Virginia Mayo on Thursday. Noir Alley: Good cop Fred MacMurray falls hard for femme fatale Kim Novak in Pushover (1954) at 10 a.m. Sunday. Watch for the location shooting in downtown Burbank, Calif.
TCM Essentials: Mad scientist Colin Clive creates a mate (Elsa Lanchester)for Frankenstein's monster (Boris Karloff) in the horror film The Bride of Frankenstein (1935) at 8 p.m. Saturday. Silent Sunday Nights: The French film Feu Mathias Pascal (1925) at midnight. The great Russian actor Ivan Mosjoukine plays a henpecked husband who disappears and assumes a new identity. TCM Imports: Director Federico Fellini's coming of age story Amarcord (1974) at 3 a.m. details the lives and loves of small-town in thirties Italy. Christmas movies: Friday evening has a full lineup of holiday movies and there are two Christmas classics airing on Sunday afternoon. See each day's entry for more details. Best Day to DVR: Wednesday afternoon, prime time, and late night. Start out your afternoon with the epic How the West Was Won (1962) at 2:45 p.m. Stewart plays a mountain man in the first part of this all-star film that traces the history of the American West. 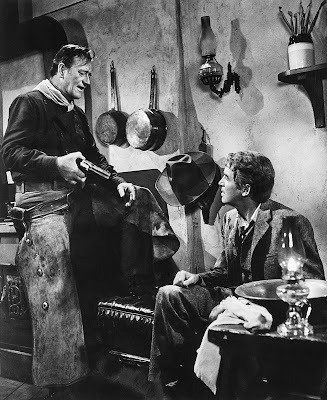 Next, Stewart and John Wayne team up for what is perhaps director John Ford's best film, The Man Who Shot Liberty Valance (1962) at 5:45 p.m. TCM is airing four of Stewart's Westerns with director Anthony Mann in prime time and late night: Winchester '73 (1950) at 8 p.m.; Bend of the River (1952) at 9:45 p.m.; The Far Country (1955) at 11:30 p.m., and The Naked Spur (1953) at 1:30 a.m. 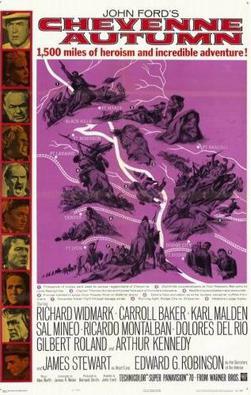 Finally, Stewart and Richard Widmark rescue captives of the Comanches in Ford's Two Rode Together (1961) at 3:30 a.m.
Humphrey Bogart and Lauren Bacall in Dark Passage (1947). Three daytime picks: The theme is marital mishaps starting with Married Bachelor (1941) at 9 a.m. which stars Robert Young as a cash-strapped writer whose book about the single life becomes a bestseller much to his wife's chagrin. The afternoon lineup has two great Lauren Bacall movies. 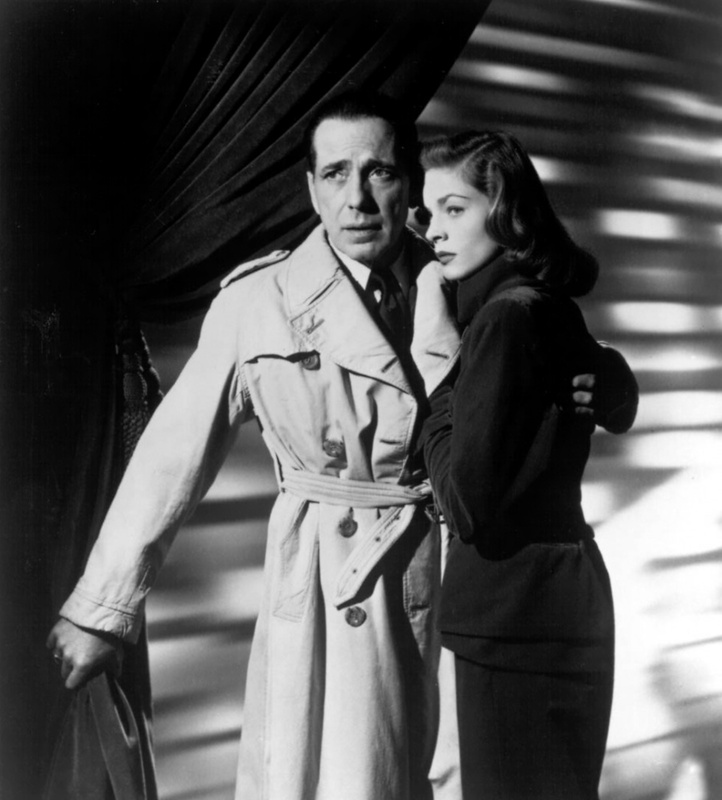 She helps escaped convict Humphrey Bogart search for his wife's real killer in Dark Passage (1947) at 1:45 p.m. Fashion designer Bacall and sports writer Gregory Peck try to make their quickie marriage work in Designing Woman (1957) at 5:45 p.m.
Prime time lineup: Each Monday and Tuesday in November, TCM is airing movies about the Hollywood Blacklist of the late 1940s and early 1950s. During that time period, the U.S. Congress investigated actors, directors, and writers for alleged Communist activity and many were blacklisted, which meant they were barred from earning a living in their chosen profession. Monday's lineup, which is co-hosted by blacklisted actor Lee Grant, deals with those who made Hollywood comebacks after the blacklist. Blacklisted screenwriter Dalton Trumbo re-emerged in Hollywood by writing the screenplays for Spartacus (not airing) and Exodus (1960) at 8 p.m.
Late night pick: If you've been watching this series, you've heard a lot about writer and director Abraham Polonsky. After being blacklisted in 1948, he did not direct another film until 1969. Tell Them Willie Boy Is Here is a powerful true story about a young Paiute Indian man (Robert Blake) who was on the run from the law in 1909. Three daytime picks: The morning lineup features films from MGM director Norman Z McLeod, who was particularly known for his light comedies like the supernatural screwball Topper (1937) at 9:30 a.m. and musicals like the Cole Porter adaptation Panama Hattie (1942) at 12:45 p.m. 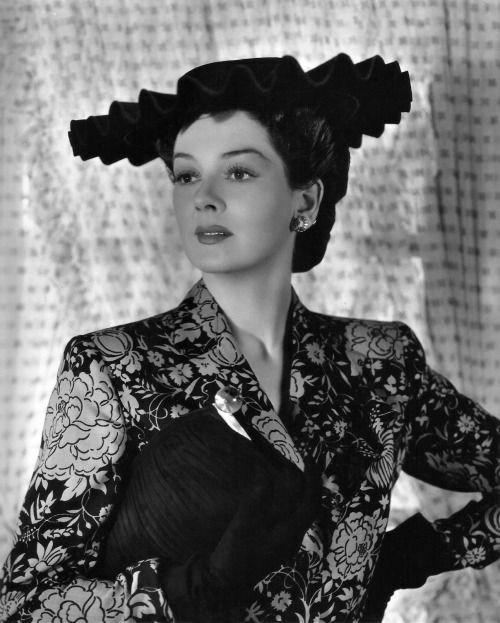 The afternoon lineup features three films from leading lady Rosalind Russell, including the fun comedy Never Wave at a WAC (1952) at 2:15 p.m., which finds Russell as a socialite who joins the military. Prime time lineup: The spotlight on the Hollywood Blacklist continues with comeback movies for those blacklisted. Several blacklisted people, including director Martin Ritt and star Zero Mostel made The Front (1976) at 8 p.m., which is a comedy-drama about a blacklisted writer (Michael Murphy) who uses a nebbishy waiter (Woody Allen) to put his name on his scripts. Lee Grant, who is co-hosting tonight's movies, gradually rebuilt her career in films like the urban drama The Landlord (1970) at 10 p.m., for which she received an Academy Award nomination for best supporting actress. Late night pick: Blacklisted actor Howard Da Silva played a sympathetic psychiatrist in David and Lisa (1962) at midnight. Three Daytime Picks: Stewart was part of the all-star cast of director John Ford's elegiac Western Cheyenne Autumn (1964) at 8 a.m. For the rest of the picks, See the Best Day to DVR section. Prime time lineup: See the Best Day to DVR section. Late night pick: See the Best Day to DVR section. Three daytime picks: A birthday tribute to actor and dancer Virginia Mayo, who was born Virginia Jones on Nov. 30, 1920, in St. Louis. Mayo is primarily known today for her films noir, but she was a top Warner Bros. star in the 1940s and 1950s because of her musical talents. She plays James Cagney's dance partner in The West Point Story (1950) at 9 a.m.; a burlesque dancer who decides to get a college education in She's Working Her Way Through College (1952) at 12:45 p.m., and a gold-digging chorus girl in Painting the Clouds with Sunshine (1951) at 4:15 p.m..
Prime time lineup: TCM is celebrating the Scottish national holiday, St. Andrew's Day, with a night of films set in Bonnie Scotland. First up is the delightful comedy Wee Geordie (1955) at 8 p.m. about a rural Scottish lad (Bill Travers) who enters the Olympics. The Maggie (1954) at 10 p.m. is a battle of the wills between a rich American (Paul Douglas) and a wily barge captain (Alex Mackenzie). Late night pick: An adaptation of Scottish writer Robert Louis Stevenson's swashbuckler The Master of Ballantrae (1953) is airing at midnight. Three daytime picks: The theme is movies starring Cary Grant. Grant plays a cheeky gambling ship owner who falls for good girl Laraine Day in Mr. Lucky (1943) at 8:15 a.m. Grant gives an Oscar-nominated performance as a Cockney drifter in None But the Lonely Heart (1944) at 12:30 p.m. Grant costars with his then wife Betsy Drake in the family comedy Room for One More (1952) at 4 p.m.
Prime time lineup: TCM is kicking off December with a night of Christmas movies starting with two couples (Jane Fonda and Jim Hutton and Tony Franciosa and Lois Nettleton) having marital troubles on Christmas Eve in Period of Adjustment (1962) at 8 p.m.. Next, is the classic weepie All Mine to Give (1957) at 10 p.m. about six pioneer children who are suddenly orphaned and have to look after themselves on Christmas. Late night pick: The family Christmas movies continue in late night with the Australian film Bush Christmas (1947) at midnight and the Margaret O'Brien vehicle Tenth Avenue Angel (1948) at 1:30 a.m. The documentary A Night at the Movies: Merry Christmas (2011) is airing at 3 a.m. I recently wrote about the June Allyson-James Stewart baseball biopic The Stratton Story (1949). It's airing at 10 a.m. Saturday. This week's The Essentials film is the horror film The Bride of Frankenstein (1935) at 8 p.m. followed by three more films starring Colin Clive: The pre-code melodrama One More River (1934) at 9:30 p.m., the mad scientist movie Mad Love (1935) at 11:15 p.m. and the Katharine Hepburn soaper Christopher Strong (1933) at 12:30 a.m. The classic Christmas movie The Shop Around the Corner (1940) is airing at noon followed by its musical remake In the Good Old Summertime (1949) at 2 p.m. The prime time lineup is all about movies based on the 19th century opera Carmen. The drama The Loves of Carmen (1948) at 8 p.m. has Rita Hayworth in the title role while Dorothy Dandridge does the honors in the modern musical Carmen Jones (1954) at 10 p.m.